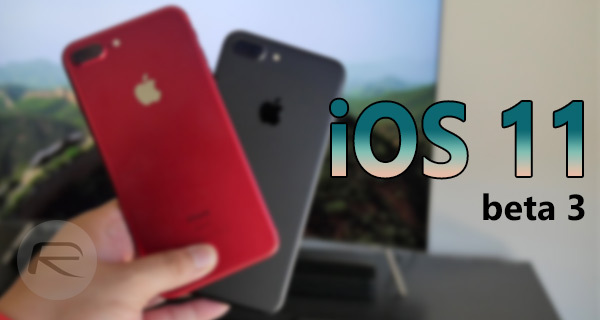 You can now download iOS 11 beta 3 IPSW links and OTA update for iPhone, iPad and iPod touch devices. Here are the details. Apple has just further reiterated its commitment to the progress of iOS by making iOS 11 beta 3 available to developers registered on the company’s Developer Program. Users with the necessary account privileges can grab that update right now for all compatible iPhone, iPad, and iPod touch hardware. The initial release of a platform like iOS 11 into the development community is always exciting, but it also only feels like the very beginning of what’s to come. One of the great things about getting to this stage with a third pre-release seed is that those same developers, as well as the rest of us looking on in from the outside, can get a tangible understanding of how the platform is progressing and can physically interact with changes and improvements. With iOS 11 beta 3, Apple has put significant changes in place, resulting in a platform which is noticeably more polished than its predecessors. As the feedback continues to filter into Apple, the company will continue to work from that feedback to ensure that bugs and irregularities are fixed as soon as possible, and when possible. As we dive deeper into iOS 11 beta 3, we will get a more rounded picture of what has actually changed, and more importantly where Apple has applied engineering resources over the last few weeks. 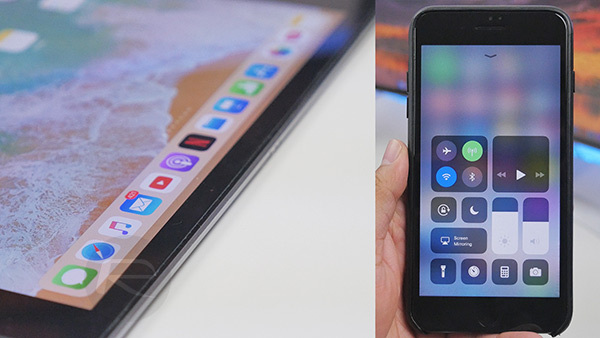 The launch of iOS 11 beta 2 introduced a significant amount of changes, such as fixes put in place for those who wish to migrate across to iOS from Android, as well as resolving an issue with application icons when restoring from an iTunes backup. It was also interesting to see Apple acknowledge a number of improvements made around how third-party apps function on iOS 11. As an example, beta 2 fixed an issue with Tencent video loading, fixed a problem with installed third-party keyboards and the permissions they need, as well as audio mysteriously dropping during Skype calls from the device. Of course, iOS 11 beta 2 also introduced a number of new issues, which we can only hope are fixed and improved with this latest release. For those who are interested in everything that iOS 11 offers, and want to get onto the latest beta 3 seed, can find out exactly how to get up and running with our previous guide on the topic here: Download iOS 11 Beta 3 & Install On iPhone 7, 7 Plus, 6s, 6, SE, 5s, iPad, iPod [Tutorial]. Again, currently it’s available to those registered on Apple Developer Program only but will be available to public testers of Apple Beta Software Program soon. As we always do, we will update in due course to ensure that you are kept abreast of all of the changes introduced by Apple into this latest beta 3 release. Stay tuned for more. Update x1: Here’s what has changed in iOS 11 beta 3: What’s New In iOS 11 Beta 3? Release Notes, Changes, Features.